Get Ready for the Azalea Festival in Muskogee! For more great Muskogee events, CLICK HERE! 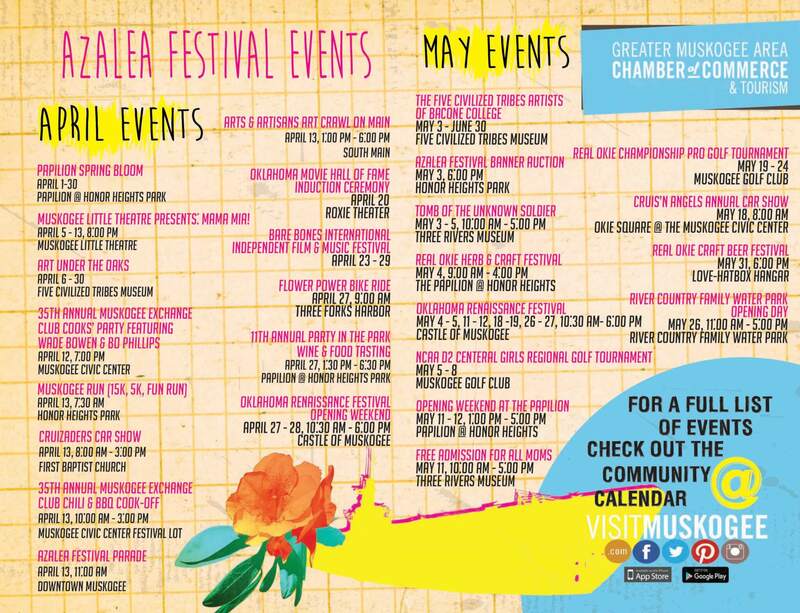 To Download the Azalea Festival Events Guide, CLICK HERE!